Following his exit from the VU John Cale kept busy as a producer, sonically manning the helm behind Nico’s The Marble Index / Desertshore and the Stooges landmark debut LP. All this prior to embarking on his own solo career in 1970 with the release of Vintage Violence, kicking off a trio of albums for Columbia Records. Cale’s next record deal would find him on Chris Blackwell’s Island Records, releasing a trilogy of albums in quick succession over the course of thirteen months. 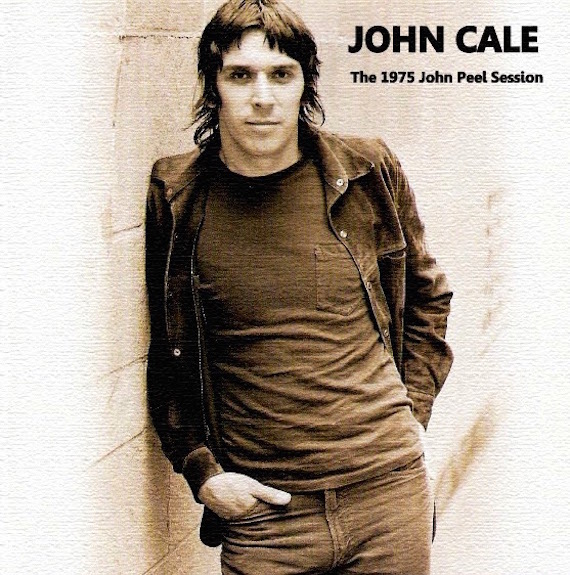 Which brings us to the following John Peel session recorded in May 1975, just two months after the release of Cale’s second record for Island, Slow Dazzle. At four tracks, performing as a quintet, the session pulls two songs each from Fear and Dazzle, providing a glimpse into where Cale’s head was in the midst of an artistic triumvirate. Recorded at the BBC, London, UK – May 1, 1975. First broadcasted May 1, 1975. Art via Forgotten Songs. LOVE this period of Cale’s career, and never even knew these tracks existed until today. Thank you!